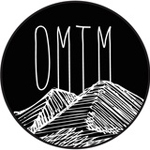 A challenging, mixed-terrain route taking in smooth trails, dirt roads, hidden single track and forgotten forest roads. 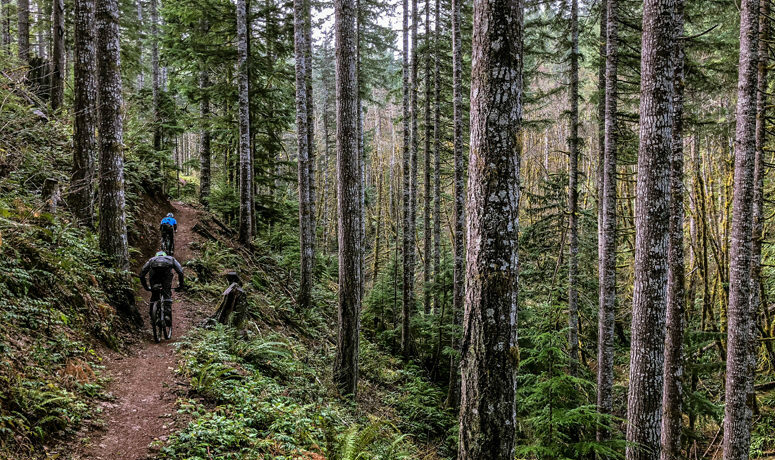 In honor of this adventurous ride’s name, let’s consider the forests of the Oregon Coast Range. Thick, damp and lush, they have provided a bounty of wood products for well over 150 years. And whatever your stance on logging may be, as a cyclist you can’t deny that it has provided a rich network of places to ride. So the Timber Logjam stands as a tribute to the confluence of forest and bike – and it also happens to deliver some delicious and challenging riding. 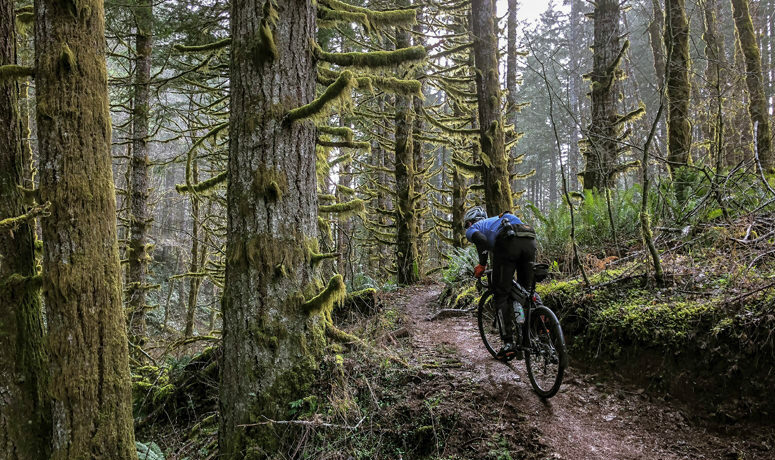 The launch for this 55-miler is the Banks-to-Vernonia Trailhead. This excellent rails-to-trails conversion starts in the broad agricultural fields of the Tualatin Valley, but soon enough it dives deep into the trees. Both here at the start, and at Stub Stewart State Park about 13 miles in, you can take advantage of bike-tool stations if you need one. 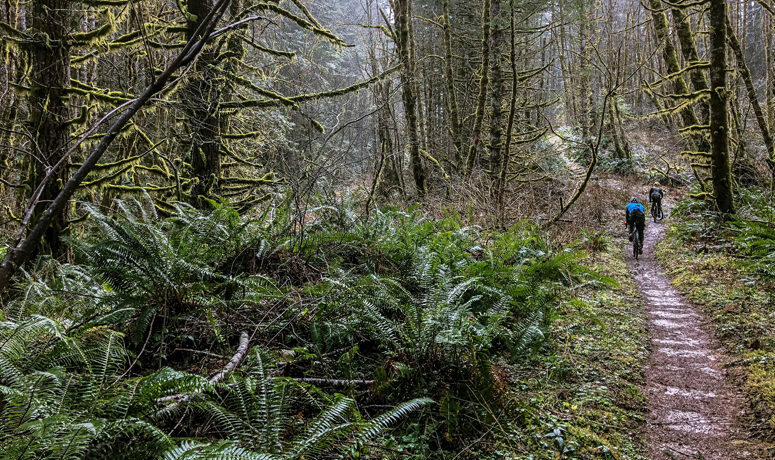 This loop offers a diverse mix of terrain – and it starts with the well-maintained pavement of the B-V Trail (we’ll get to the dirt paths, singletrack and old logging roads in due time). As you start, breathe in the air of hay and other crops, and file the scents away to compare to the forested sections later. You can’t miss the rich agricultural fertility of the flatlands you’re bisecting, or the hills rising up on the horizons. After about 6.5 miles of pretty open terrain, branch off to the right and head up and into the forest. Actually, the last mile and a half of the trail was the beginning of a 1,300 foot climb that’s punctuated by one dip that provides a brief break. Once you top out on Hoffman Hill, enjoy a quick, zig-zag plunge down to the point where this route touches on the boundaries of Stub Stewart. You’ll find restrooms and water in the park. Your drop continues all the way back onto the B-V Trail for another short stretch that takes you across Highway 47. Start ascending and branch off the trail, this time to the left, and continue up for a short but testy 800-foot rise. Now is a good time to distract yourself by noting the different notes your nose is picking up here versus when you started riding. And while you’re at it, check out how the trees filter and divert the light. While you’re up relatively high here, cross very busy Highway 26, and then disappear back into the welcome isolation of the forest. A sawtooth stairstep of gradual uphill – a hundred feet up, 75 feet down; repeat – will occupy you as you spin through the woods. The tiny hamlet of Timber serves as the crossroads of a figure-eight section of the route. 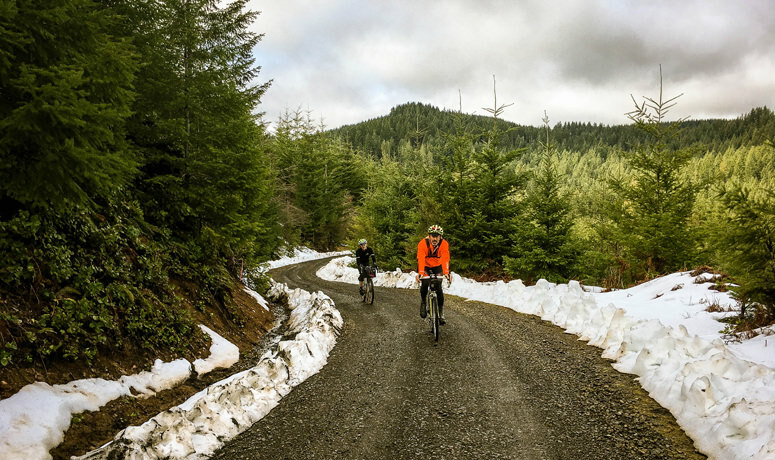 First time through, hang a right onto Timber Road for a fairly straight stretch, then left on Lousignont Road (don’t try to pronounce it; just enjoy it) before diving into the Tillamook State Forest at mile 26, on a stretch of trail that meanders like a bored river. Rejoin the world of roads at Carlson Creek and then Cochran. At 31 miles, Reeher’s Camp offers a water stop, and soon after that you get to decide if you want to add the Triple C Trail into your day by jumping off Cochran Road for a wild diversion that crosses the frigid (or refreshing, depending on the day’s temperature) Nehalem River… at which point you get another choice: head back to Timber, or keep on exploring by taking on the Step Creek Trail, a gnarly, precipitous clockwise loop that makes you happy there’s so much timber around Timber. The good news is that, once you top out partway through the loop, you reap the rewards for your effort: about 9 miles of descending, through Timber and down Timber Road, including a couple corners you’ll want to let loose on like you’re riding a Tour de France bike. Oh, but the fun’s not done… say hello to Wildcat Mountain. Gird yourself for 900 feet of up that will feel like a whole lot more than that mere 800 you scaled earlier when you left the B-V Trail. Once you peak, hold on tight as you rocket down the other side; you might miss the “town” of Haywood on your drop. Finish it all off with a tranquil and scenic wiggle down Cedar Canyon Road, which flattens out for the last four miles back to the start.